The World Championships 2018 took place between the 3rd and 5th August at the Baroque Chateau and Park, Choltice, Czech Republic. Four intrepid local shooters formed Team South Africa and competed at the championships; they are Jan Van Der Vyver, Michael Olivier, Zelda Bothwell and Brett Bothwell. Michael & Jan shot the open class, Zelda in open ladies and Brett shot the springer class. They ended the competition in fine form for a team on debut. Final day scores for Team ZA. 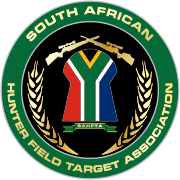 SAHFTA extends their gratitude to WHFTO and their hosts, the Czech Airgun Field Target Association for hosting an excellent championships.